Actor Wendell Pierce, who will play the role of United States Naval Officer Admiral James Greer in Amazon’s upcoming television series Jack Ryan (based on Tom Clancy’s fictional character), will join PBS President and CEO Paula Kerger and GI Film Group CEO Brandon Millett in a panel discussion entitled, "Bridging the Military-Civilian Divide Through Film and Television” at a National Press Club Headliners Newsmaker event on Thursday, May 24, at 10:00 a.m. in the club’s Zenger room. This event will take place during Washington, D.C.’s GI Film Festival, a two-day event dedicated to preserving the stories of America’s veterans, and just ahead of the city’s Memorial Day weekend celebrations. Wendell Pierce is an American actor best known for his roles as attorney Robert Zane in the legal drama series Suits on the USA network and as Detective Bunk Moreland on the HBO drama The Wire. A native of New Orleans, Louisiana, Pierce was nominated for an NAACP Image Award for Outstanding Support Actor in a Drama Series for his role on The Wire in 2007. Paula A. Kerger is the President and CEO of PBS, the nation’s largest non-commercial media organization, comprising nearly 350 member stations across the country. Having joined PBS in March 2006, Kerger is the longest-serving president and CEO in PBS history, and also serves as president of the PBS Foundation. Prior to joining PBS, Kerger served for more than a decade at Educational Broadcasting Corporation (EBC) the parent company of Thirteen/WNET and WLIW21 New York, ultimately leaving EBC with the title of Executive Vice President and Chief Operating Officer. 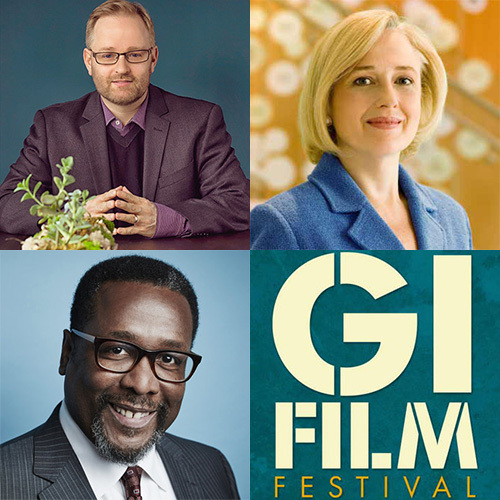 Brandon Millett is the Co-Founder and President of the GI Film Festival and CEO of the GI Film Group, which supports military-themed film and television projects. He was recently named one of the "100 Most Influential" military supporters in the country by HillVets (2016) and is the co-recipient of the American Legion National Commander’s Public Relations Award. This news conference is open to credentialed media and members of the National Press Club free of charge, however registration is required.